I bet you thought that Languedoc-Roussillon Month was over! Well, APRIL FOOLS!!! It's been extended one more day for my April Wine Pick of the Month! 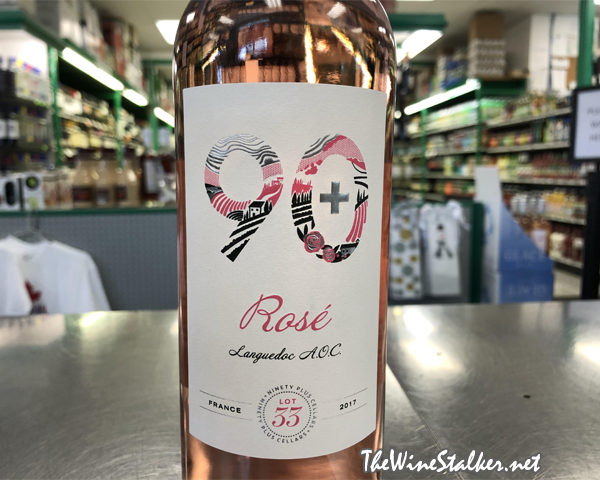 90+ Cellars (click here to learn more about them) has had a nice string of excellent Rosé’s the past several years and this follows right through with the pedigree. Their 2017 Lot 33 Languedoc Rosé is a blend of local favorites Syrah, Grenache, Mourvédre, and Cinsault; all from the foothills of the Cevennes mountain range where the breeze from the mountains cools the vineyards and keeps them dry. The color of the wine is a gorgeous light tuna pink. There's a strong minerality at the top of the nose with accompanying aromas of strawberries, lime, and cotton candy. On the palate it's dry but fruity, with an acidity that brings the perk but still remains tamed. There's flavors of strawberry, lemon-lime soda, and cilantro. Then it finishes crisp and clean with strawberry tonic. Spring is here, people! It's time to crack open some pink wine and celebrate!